It’s Fall already and it is hotter than hell in this neck of the woods. Dean had to install an air conditioner in Franco’s room yesterday, it was so damn hot. By the way, no one has AC in the Bay Area. You just always opened up a window to sufficiently cool off. But global warming has ushered in a new era of unbearable heat. After putting together a Guide to Seattle, I thought it would be fun to continue building my travel guides. 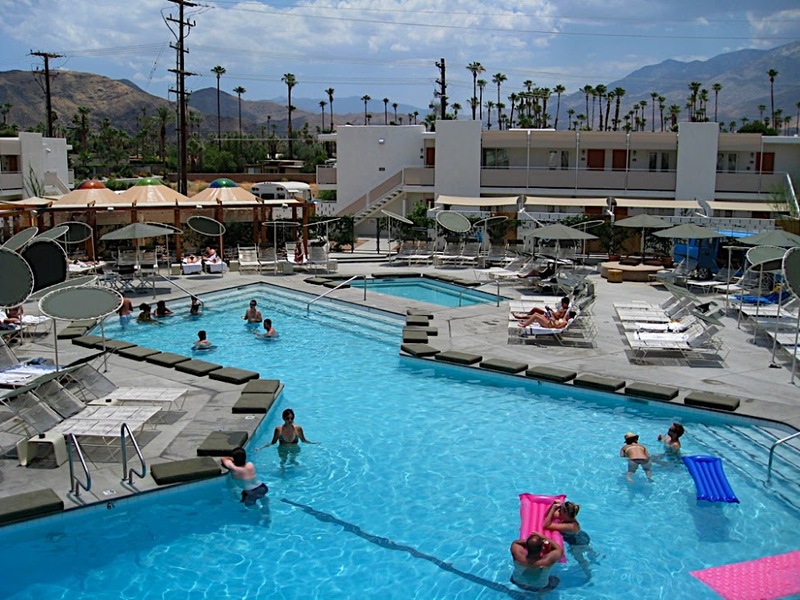 There’s no better way to say good-bye to summer than a trek to always sunny Palm Springs. Palm Springs is very special to us as it’s the place where we got married and celebrated with 100 family members and friends. 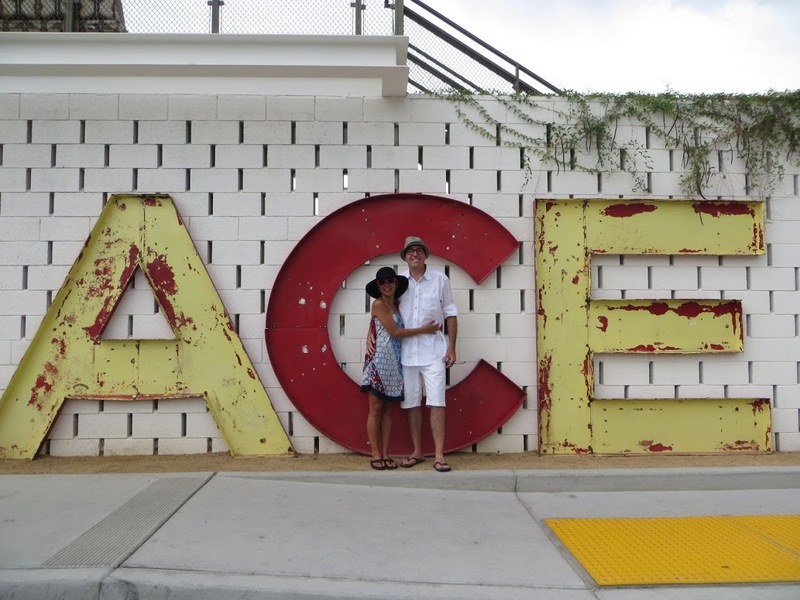 Someone had suggested we might want to check it out as a wedding location and the very first time Dean and I stepped into the Ace Hotel, we knew we had found our spot. 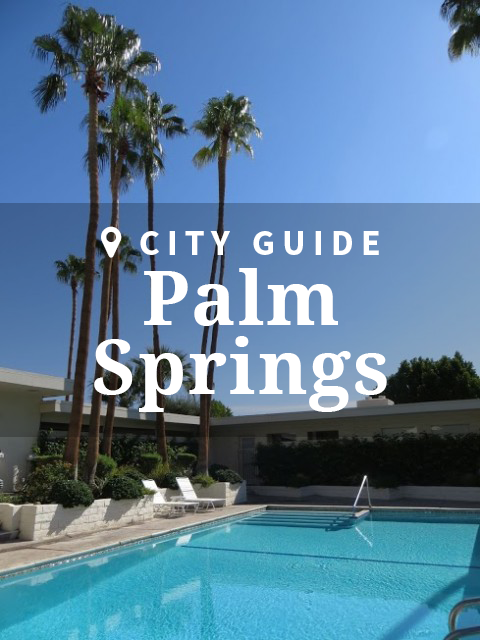 Everything about Palm Springs screams VACATION! It’s hot, fun, and relaxing. 701 E Palm Canyon Dr.
A converted Howard Johnson motel, the Ace Hotel is desert hip. The rooms are rustically decorated—like you are camping, but in a luxury tent. 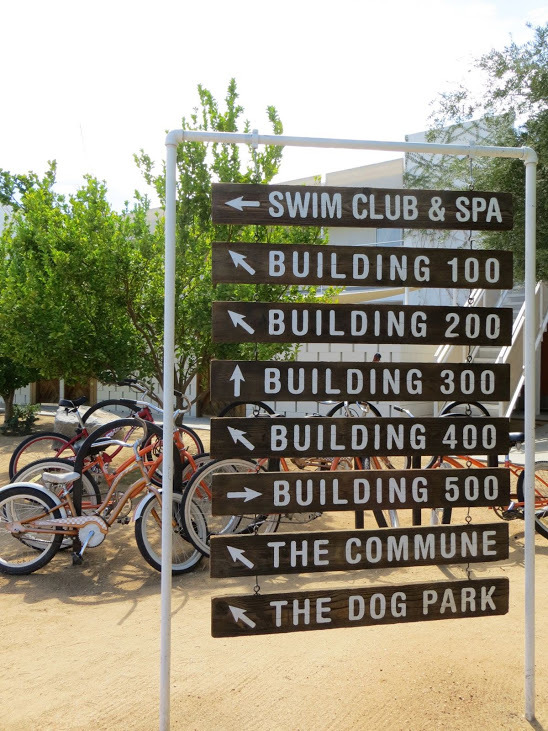 Plus everything you need is at the hotel: bikes (not that I have ever biked in 90 degree temperature! ), Vespas, two pools, a spa (nothing fancy), a diner (a converted Denny’s called King’s Highway), a bar (the Amigo Room), and a photobooth. 595 E Palm Canyon Dr. There is a Motel 6 next to the Ace Hotel that is super cheap (obviously) and perfectly sufficient if you don’t plan to spend all day lounging in your room. I say that because you can sleep at the Motel, then make your way to the Ace to lounge poolside. 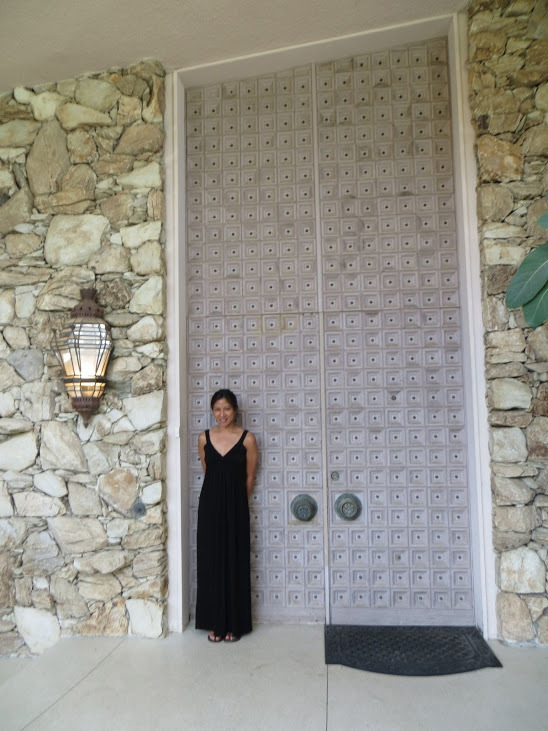 If I had my druthers, this is where I would stay in Palm Springs and I would not leave! Designed by Jonathan Adler, who is one of our favorite designers, it is a photographer’s dream. People stop by just to take pictures at the Parker—not that that’s the only thing to do. You can play croquet, order cocktails from the outdoor lemonade stand, relax at the amazing PSYC (Palm Springs Yacht Club) spa, have brunch at Norma’s, and dine at Mister Parker’s. We’ve also stayed at the Viceroy and enjoyed it. Pretty standard with pool, spa, and restaurant/bar. It’s closer to the main drag of town which may be appealing if you don’t want to drive everywhere. It’s also a smaller boutique hotel, meaning less crowds and raucousness. The tram is the largest rotating aerial tramway in the world. Incredible views! At the very top, there’s a café, restaurant, and bar. I would love to go back and do a hike. Apparently, there are miles and miles of hiking trails all around the mountain. The cold weather and breeze at the top of the mountain are a huge contrast to the desert heat. 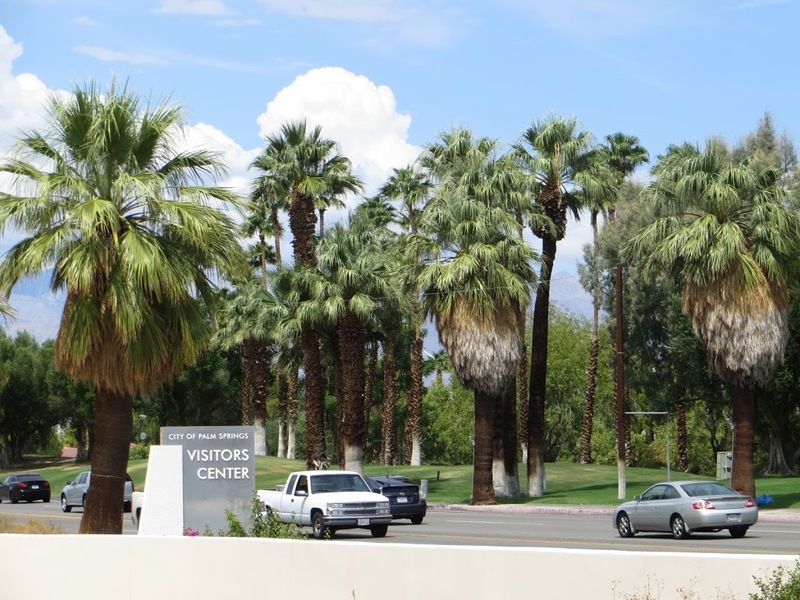 The Palm Springs Visitor Center is a former gas station at the bottom of the road that leads to the tram. It’s a historic site noted as an example of modern architecture. 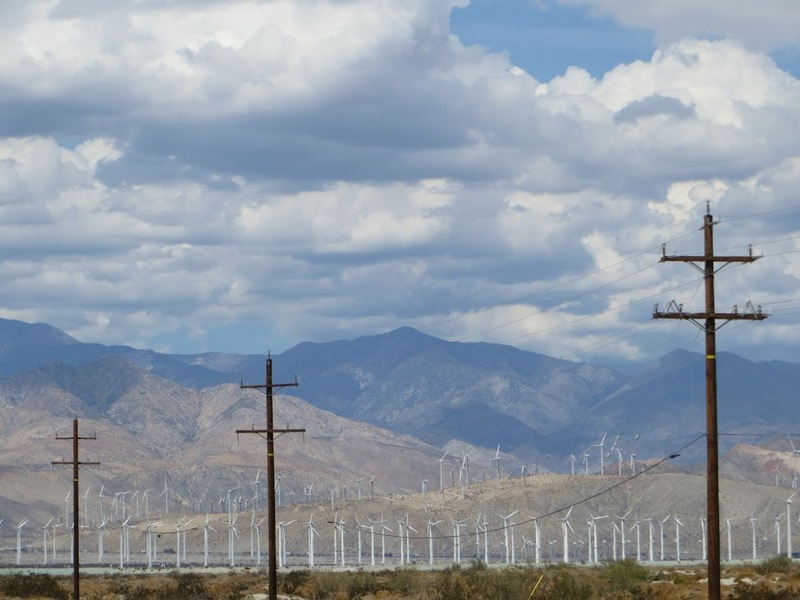 From the Visitor Center, you can see Palm Springs’ iconic windmills. You can see the windmills from many different directions, but the Visitor Center is a good anchor location if you don’t know exactly where to go. It was closed when we went, but we did a little tour from outside. Super cool. It’s like being transported to the 1960s. I wish we could have gone inside. Next time! I love spas! I could spend all day in a steam room turning into a prune. If I had limited time on this earth, I would hightail it to PSYC at the Parker Hotel and tell everyone I knew to meet me there. It’s probably my favorite spa ever! Beautiful indoor pool and every spa amenity you can think of. Put this on your bucket list. Exceptional brunch spot. All the classics (chilaquiles, eggs benedict, French toast, bacon flight) done with zeal. I detest waiting, but this place is worth it. Melvyn’s is an upscale classic restaurant which defines 1950s Hollywood glamour. Waiters in uniform and tableside cooking! This place is one of my faves. The food is great. They call it world cuisine, but it’s really just a smorgasbord of every kind of food you can imagine: sushi, pizza, spring rolls, ribs, shrimp tacos…and it is all so damn good! Great vibe. Fun for small or big gatherings with tables both inside and out. This is the diner attached to the Ace Hotel. The menu is extensive and the food is good, especially for a hotel restaurant with a daytime, evening, and kids menu. Having dinner at Mister Parker’s is an ideal option for checking out the hotel without splurging on accommodations. You can also opt for breakfast or lunch at Norma’s (the daytime restaurant at The Parker), but I think you get more bang for your buck with Mister Parker’s. Food is good too. Food is actually pretty good all over Palm Springs! 368 N Palm Canyon Dr. This is where to go for margaritas and Mexican food. 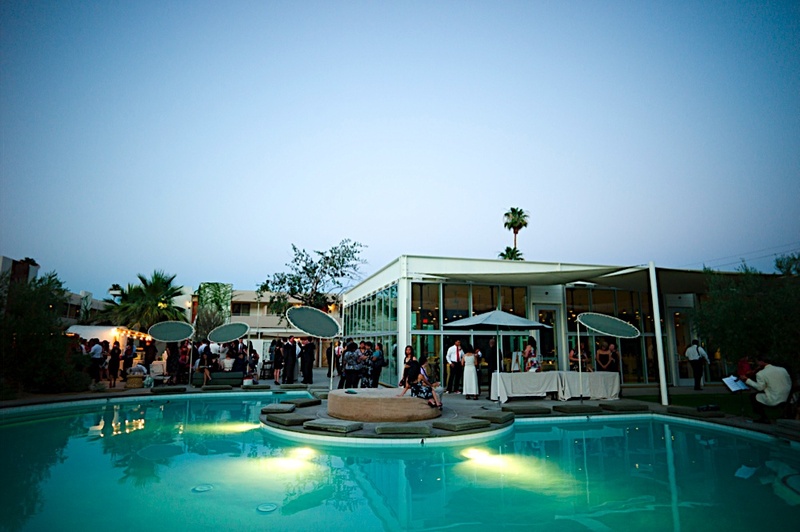 If you only have one night in Palm Springs, go to Melvyn’s! Imagine me, Dean, a friend of ours, and Dean’s parents, ordering rounds of drinks, dancing, and howling along with the singer at the piano bar. 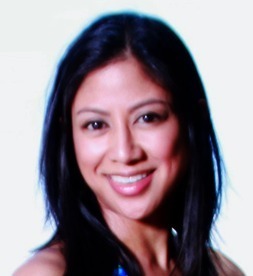 Music and entertainment every night of the week. The bartenders make stiff drinks—not really my style, but this is a fun place to have a cocktail. Renting a car is ideal, but you can also call for cabs. Does Uber service Palm Springs?! And one day we will get to Disney World! I have bookmarked your posts. The first time I went to Palm Springs, we arrived at night. I was shocked and delighted to wake up to the beauty of the mountains surrounding this lovely desert oasis! yes, mo, palm springs is seriously an oasis! I remember that about SF! We NEVER needed a/c. Maybe we got hot like.. twice a year. We needed only a space heater for heat, and only sometimes. Moving on..I never did visit Palm Springs but it was so on my radar. Perhaps someday! tamara, do you have AC in your home now? are you experiencing global warming the way we are over here? i had book club last night and every single one of us was complaining about how how it has become. it’s unreal! We do have central air but many people don’t here. The last two summers have been on the cooler side, and I’ve only been here 5-6 years so I’m not really sure what’s normal! ha! I love Palm Springs! It’s only about an hour and a half from us in San Diego so we’ve taken several day trips out there. I bet it’s hoooooooooottt right now though! I’m not surprised that AC isn’t common in Bay Area homes, every time we visit our family there it’s always colder than we’re expecting!